Biodynamics is a Hoax | Someone Has to Speak Up. Welcome to “Biodynamics is a Hoax.” I created this blog to offer an alternative view to Biodynamics and to engage the Biodynamic community in debate over the merits and efficacy of Biodynamic farming. I challenge any Biodynamic farmer or supporter to defend the writings of Rudolf Steiner. I submit that if you believe in science you cannot believe in Biodynamics, and the corollary is just as true, if you believe in Biodynamics you cannot believe in science. As you can tell by the title I believe that Biodynamics is a hoax and deserves the same level of respect the scientific community has for witchcraft, voodoo and astrology. Austrian Philosopher Rudolf Steiner gave a series of lectures and discussions on Agriculture in June 1924 to a group of several hundred of his anthroposophical followers in Koberwitz, Poland. Steiner had never been a farmer, yet he delivered these lectures on Agriculture which became the foundation for Biodynamics. In recent years Biodynamics has been embraced by an ever widening group of vineyardists and wineries around the world. Some of the world’s most renowned wineries farm Biodynamically and many consider Biodynamics to be the “Rolls Royce” of organic farming. Yet, after reading Steiner, I conclude that Rudolf Steiner was a complete nutcase, a flimflam man with a tremendous imagination, a combination if you will, of an LSD-dropping Timothy Leary with the showmanship of a P.T. Barnum. His books, writings and lectures should be catalogued under “science fiction” because there is not a scintilla of truth in any of his writings. Reading Steiner is tough sledding because it makes no sense in our real world, yet when viewed as “science fiction” masquerading as some sort of Jim Jones new age cult you are forced to admit that Steiner was extremely clever and creative in actually making this stuff up. Unfortunately, it is quite sad that someone—anyone—would actually believe in this hoax and profoundly disturbing that the Biodynamic movement is gaining ground. Future postings will endeavor to expose Biodynamics as the hoax and fraud that I believe it to be. Writing this blog has helped me better understand Rudolf Steiner and clarify the negative issues underlying Biodynamic farming. I’ve always taken offense that the Biodynamic supporters claimed superiority with their “living soils, healthy vines and better expressions of terroir,” and now I realize that they are also claiming that only through Biodynamics can your vineyard obtain its greatest potential and thus result in the most authentic wines. It reminds me a little of the Christian doctrine that only through Jesus can you find salvation. The clear implication is that if you’re not a Biodynamic grower your products are inferior and will always be inferior because you can never reach your vineyard’s greatest potential. I’ve taken personal offense at these claims and resent anyone claiming they care more about their vineyard’s health, soil and wine quality than I do. But there was something more that I couldn’t identify and it left me unsettled. Personal indignation is all fine and dandy, but I felt I was only half-way there. That is, until recently when I recognized that what was bothering me was the divisive nature of Biodynamic farming. By publicly claiming superiority they, de facto, belittle and ridicule everyone else’s farming methods and wine quality for not being Biodynamic. I can’t think of a better way to divide our industry than by pitting winery against winery and grower against grower – something I’ve never seen in my 40 plus years in the wine industry. What’s next – if you’re not a biodynamic farmer your vineyards are dead and your wine stinks? Is this the future we want for wine marketing – trashing your neighbor and his wines?” I was recently visiting one of my distributors and when this subject came up I was told that they often hear in their Friday morning sales meetings how Biodynamically grown grapes are superior and that Biodynamic farmers care more about the environment than conventional farmers. Nice touch for a once friendly industry! It’s the “Big Lie” concept all over again that Biodynamic farmers care more for their environment than all other farmers. Biodynamic farmers do not have a monopoly on being environmentally sensitive farmers and I’m sick of hearing this lie from quasi-supporters, that goes something like this “Yes, Rudolf Steiner is a little wacky and maybe even a nutcase, but at least I know that Biodynamic farmers care about the environment and tread lightly on the land, and that’s good.” To me, that’s bunk, because it’s not true! I care for my vineyard, my soil and my environment as much or more than anyone else and I resent those who claim otherwise. But what I really resent is that Biodynamic farming is attempting to divide our industry, an industry that I love and have spent 40 years of my life working in, just to get a marketing edge. That’s shameful. Biodynamics and the Limits of Rationalism, Clark Smith, Wines & Vines January 2011. Clark and I have had some lively exchanges about Biodynamics and it’s clear that neither of us is convincing the other to change our views. Clark is a “postmodernist” who seems to believe, like Steiner, that science is limiting and that there is more to this world than science can answer: At best, truth is soft and ephemeral and truth is what we wish it to be or what we can get away with — in fact, there may be no truths! This “beyond science” postmodernist approach also seems to accept that our current language is limiting and the new era should utilize a new language – something Clark clearly embraces with his writing style. Herein lays the very essence of the Biodynamic debate. I reject virtually everything written in this article as utter nonsense because I reject the notion that science is limiting. We should not abandon our search for the truth because it is difficult. 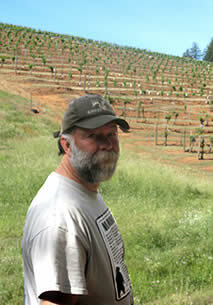 Clark’s article is an apologist’s love letter to Biodynamic farming. He believes that Biodynamics should be held to a different standard because we now live in a postmodern world where truth is not out there. I seriously doubt Red Mountain, Hearty Burgundy and White Zinfandel consumers care one whit whether their wine is “soulful” or “transformative.” Many, maybe most of us in the premium wine side of our industry, forget that we are not the center of the universe. Let’s keep this subject in perspective – Sutter Home makes more White Zinfandel than the entire Napa Valley produces and their sales are up a whopping 25% or so. Should Biodynamics, which requires a leap of faith, be acceptable to us? Should we also accept the idea that science can’t model complex systems, farming or not, or accept the “intractability (of B-d) to conventional scientific practices” (Clark’s term)? I answer with a resounding NO! Just because it may be difficult doesn’t mean it can’t be done. Start with definitions, develop theories, test those theories and repeat the process. Do Biodynamic wines taste better? Do buried cow horns work? Do tea sprays stop mildew? Is the carbon footprint larger, the same or smaller than organic or sustainable farming? What is the social cost-benefit from the various farming systems? I know that experiments can be designed to test these types of hypotheses – saying it can’t be done is just a cop-out. The brain and mind are no longer forbidden topics of research as Clark would have us believe. For research being done to unravel the mysteries of music appreciation – see Blood and Zatorre, 2001, Proceedings of the National Academy of Sciences. I don’t understand why Clark believes that Acupuncture can’t or shouldn’t be critically evaluated? Again, it may be messy and take effort and time to sort out the various studies and the cultural biases, but it is not impossible. In a recent article by Jonah Lehrer in The New Yorker (more on this in the next post) Lehrer points out that when the studies were conducted in Asia all 47 studies showed efficacy for Acupuncture, yet when studied in the West only 56 showed efficacy out of the 94 studies. Time will sort out what and who is correct – which is exactly what science is all about. Again, science is messy and slow and we should remain skeptics. Clark goes on with Philip Armenier’s “poetic language” regarding preparations and energy forces and then drops the bomb “Word confusion is the common stamp of paradigm shifts.” A paradigm shift? It certainly appears that Clark is heralding that Biodynamics will triumph and be the new farming standard! I’ve re-read this section a dozen times and if Biodynamics sounds “nuts” to Clark, as he claims, then why would he write this? The part on Alan York is typical of what I call “Biodynamic speak.” What’s not to like about what Alan says? A closed system, biodiversity, funny little preparations and a holistic approach: Clark left out motherhood and apple pie. It sounds lovely and says absolutely nothing! The devil is in the details and Clark and Alan York never address the details. If it’s a closed system then why is it OK to truck compost from up to 250 miles away from the farm? If Biodynamics employs a holistic approach than why is it OK to use the very nasty pesticide PyGanic which contains Prethrins? Why is it OK to use a nasty pesticide made from chrysanthemums than a more environmentally friendly one made from the petrochemical industry? I take offense at Clark’s claim that I and/or others delighted in our Biodynamic neighbors getting Powdery Mildew. Once again Clark is wrong, because that is not true. It was my understanding that many growers got mildew this year and if we were to single out one group that got hurt the most it would be the organic growers, not the Biodynamic farmers. I don’t understand why that would be, but I’ve heard that from many of my associates who are vineyard managers. IMO, there is no excuse for getting mildew. It is absolutely preventable if you pay attention to your farming practices. I had mildew in the past and it was my fault – period. I swore I’d never get again and I haven’t. Science, with all its faults, searching for the truth or Biodynamics supported by a postmodern view that goes “beyond science” and says truth is relative – your choice. HONEY, I SHRUNK THE FARM ADVISOR! I went and it was painful – both physically and mentally. Eight hours on old fashioned metal folding chairs and then listening to a love fest for all things Biodynamic. A very good lunch was catered by the Silverado Brewing Company, but they didn’t bring their beer — that I desperately needed. I can say without any reservation that Demeter USA should have been the sole sponsor. UCCE clearly violated their own code of ethics by being a sponsor – shame on the University for their poor judgment. Dr. Andy Waterhouse (Chair of the Dept. of V & E, UC Davis) was there and asked my friend if he was a Biodynamic supporter and mentioned the controversy. My friend said that he was not, that he was there for a client and that it was wrong for the University to be sponsoring this event. Dr. Waterhouse skulked away. Elizabeth Candelario, Marketing Director for Demeter, made it clear in her opening remarks that “Biodynamic farming is just sound farming” and while you shouldn’t embrace Biodynamic farming for the marketing, she pointed out that consumers, retailers and the media want more Biodynamic products. She clearly knows how to bait a hook. She also invited and I would assume comped Wilfred Wong, Cellarmaster of BevMo, and several sommeliers. Again, a smart outreach to those who can help the pull-through of Biodynamic wines. Later in the morning Glenn McGourty, Farm Advisor for Mendocino and Lake Counties, gave a presentation that went way over the line and made me apoplectic. Mr. McGourty didn’t just talk about Biodynamic farming in an impartial and detached way; he clearly believes in Biodynamic farming and promoted it as the superior farming paradigm. He talked about operating in the “post petroleum world” and how to comply with the Demeter USA Farm Standard – as though he were the expert on compliance standards. Mr. McGourty was a co-author of a 2005 paper that found not difference between Organic farming and Biodynamic farming, but he never mentioned it. When not on stage, he sat at the front table with Elizabeth Candelario (facing the stage). I went to Berkeley during the 1960s and saw a lot of ugly things, but in its own way this was one of the ugliest things I have ever seen my University do – it was embarrassing and flat out wrong. If I had the power, I would have fired Mr. McGourty on the spot! And, I suspect that Demeter would hire him in a nano second as one of their compliance inspectors or for marketing. After Mr. McGourty was a panel discussion on pests and diseases for the Biodynamic farmer which included Dr. Monica Cooper. Several of the panel spoke before Dr. Cooper and talked gibberish about pest control that I could see made Dr. Cooper uncomfortable and shrink into her chair. When the moderator turned to Dr. Cooper he said to the audience “Dr. Cooper will now talk about pest management under the (Demeter) Farm Standard.” Not so quick, Mr. Moderator. Dr. Cooper went on to give a nice, pleasant little talk about the ecology of invertebrates and never, not even once, did she mention or utter the word “BIODYNAMICS” or it’s Farm Standard or give even the slightest hint that she had an opinion on Biodynamics – good or bad. Well done! You may have been snookered into sponsoring this event, but you stood your ground with an unbiased presentation. But she looked a little lower in her chair. Next were a couple other panelists, including the Preparations expert who admitted that he was a sculptor and didn’t really know anything about farming but was doing research and testing on the Preparations. One attendee asked if you could control mildew by using only the preparations. There was unanimous agreement by the Biodynamic panelists that no, you had to use sulfur or other fungicides. Another attendee asked the panel if “ashing” of pests worked? The panel hemmed and hawed and then an attendee spoke up and said he’d had pretty good results ashing yellow jackets and some other insects, but that it didn’t seem to work on larger creatures. Dr. Cooper is a scientist and this is an area of her expertise and when I looked back at Dr. Cooper she seemed even smaller in her chair and reminded me of that movie Honey, I Shrunk The Kids. As far as I can tell, Dr. Cooper left the building immediately after that session. After lunch Ginny Lambrix, Winemaker for Truett-Hurst, gave a nice talk on Science and Biodynamics which probably was successful for those who don’t know much about science and Biodynamics. However, she easily slipped from saying a particular study “suggested” a Biodynamic superiority to the “evidence” showed … To her credit, she mentioned what she called the Achilles Heel of Biodynamics, which are exotic pests. Since there has never been any connection with these exotics in the past, the natural defense mechanism cannot be expected to be able to mount an effective defense. This is a new and a refreshingly honest admission. The only thing I found interesting in the afternoon session was that Demeter now certifies wineries. I didn’t know this. To be a Certified Demeter winery, you can use up to 100 PPM of Sulfur, you must use native yeast, you cannot add acid, sugar or enzymes, and Reverse Osmosis and the Spinning Cone are prohibited. The only question I asked all day was, “is it OK to add water to the must?” First the answer was no, but then the speaker said yes, it was OK to add water. Can’t add acid, yet it’s OK to add water – seems strange to me. There was a wine tasting of various Biodynamic wines at the end, which were all nice, yet confirmed to me that acidulation should be allowed.